Hienghene Sport are the 2017 Super Ligue champions. After being so cruelly denied the Super Ligue title in 2015, Hienghéne Sport have made sure there was no chance of them missing out this time as they laid claim to the trophy at the weekend with an impressive 75 points – six clear of southern-based rivals AS Magenta. Hienghéne coach Felix Tagawa said after the side made their OFC Champions League debut earlier this year he expected some difficulties for the season ahead, but was pleased with how his side coped with the longer season. “After the Champions League we knew it would be hard for us because we were coming down from some massive preparations and we had a few injuries,” he explained. “We had to look after the injured, rebuild our game, retain our valour and remain concentrated and enthusiastic in the changing rooms. Tagawa said it was an important season to which the side – from players to administrators – gave their all, travelling a lot of ground with the one objective in mind. “The majority of the team trains in Hienghéne, and we have a small group in Koné and one in Nouméa. We come together the night before our matches. When we play in Nouméa, Lifou, or Maré, it’s more than 500km that we’re covering in a weekend. At home, we play in Koné. AS Magenta, whose second placing sees them qualify for another OFC Champions League, after making the semi-finals two years in-a-row. Coach Alain Moizan said he wasn’t surprised to see Hienghéne take out the league title. “We have to congratulate them,” Moizan said, “they were consistent with what they were doing, and looked to play football. “Us, we didn’t play well especially in the second half of the season,” he concluded. National team coach and coach of Super Ligue club Tiga, Thierry Sardo, said Tagawa and his charges achieved their objective. “Hienghéne deserved the title. They beat us both in the home and the away match. Their group has matured,” he said. 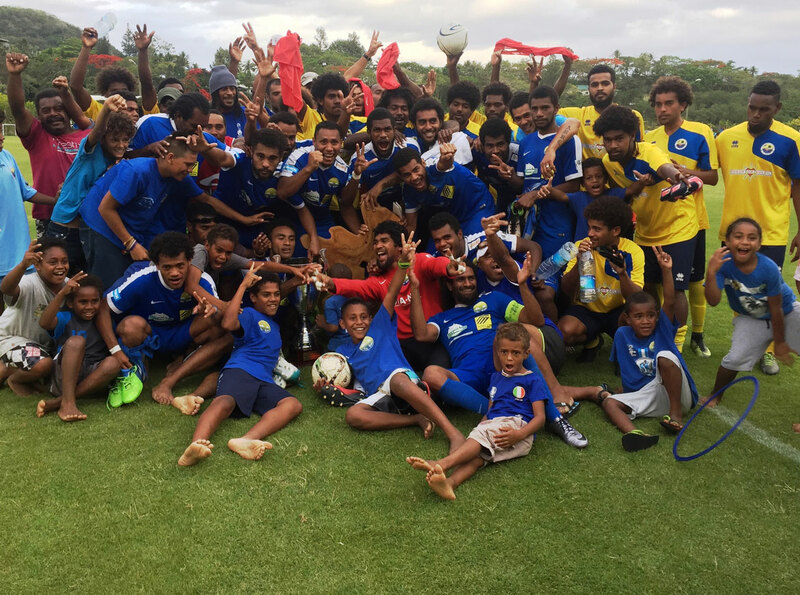 With their first and second placings respectively, Hienghéne Sport and AS Magenta have qualified for the 2019 edition of the OFC Champions League. Next year’s representatives are Magenta and AS Lossi.